Ah, we’re back again with another great high def reef video. Check out lunch time at this famous tank. This tank is just swarming with fish trying to get their “fix”. 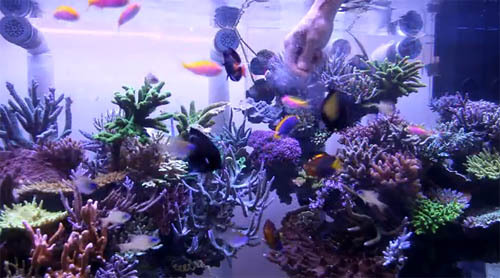 Backsplashed with a colorful SPS infestation, this tank makes us drool every time we see it. Ok, enough reading, just watch the video! I love this tank, all of his videos are awesome! !